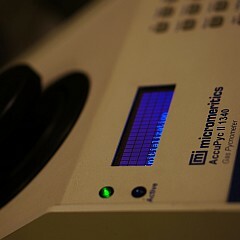 IGA - The Intelligent Gravimetric Analyser, a high-precision sorption scale. The IGA gravimetric-sorption systems for investigating the phenomena of gas sorption/desorption. 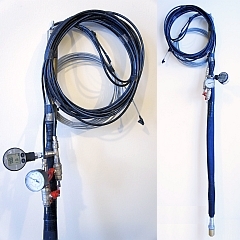 The IGA systems are the most precise devices when it comes to determining the isotherms of gas sorption/desorption for a wide range of pressure and temperature values. Determining the isotherms makes it possible for the program to establish the distribution of the pore sizes, the specific surface area (BET), the equilibrium data etc. The changes in weight over the course of time (for every temperature and pressure value), in turn, make it possible to compute the adsorption kinetics (e.g. the diffusion coefficient). With this software, one can set up a whole sequence of measurements (including the stage of the initial temperature and gas/vapor processing of samples), which are subsequently carried out in a fully automated way. 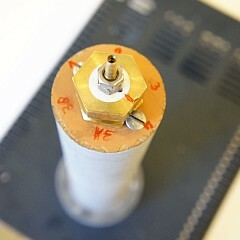 AccuPyc II 1340 - a helium pycnometer. 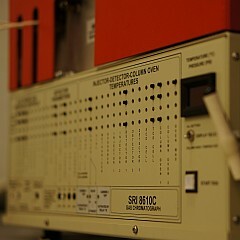 SRI INSTRUMENT CORPORATION - SRI 8610C, a gas chromatograph. 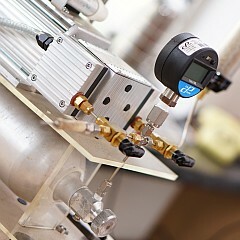 CDetector sensitivity: 1ppm (universal response to most organic substances); carrier gas: helium. 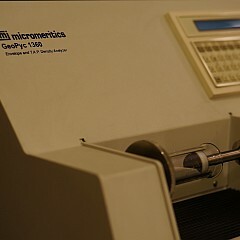 GeoPyc 1360 an apparent density analyzer. 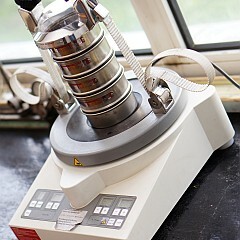 Used for measuring the volume density by means of the quasi-fluid pycnometry method. It is the first and the only device in the world destined for the non-destructive analysis of samples in the aspect of the volume density. 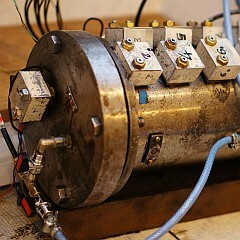 The MOD 1 device for outgassing coal samples. 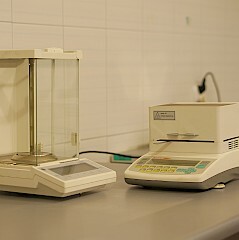 High-precision lab scales and moisture balances. 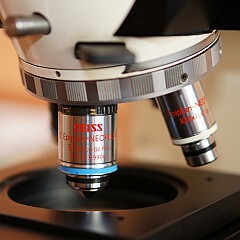 The AXIOPLAN microscope by ZEISS, with the computer-controlled mechanical stage XYZ. 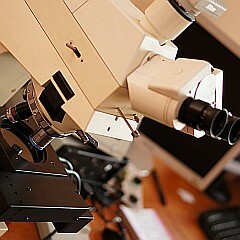 The image from the light microscope is projected onto the screen by a CCD camera. Nikon SMZ 1500 1500 – the most advanced stereoscopic microscope by Nikon, the first microscope that allows continuous zoom adjustment, providing a magnification range from 0,75x to 11,25x. 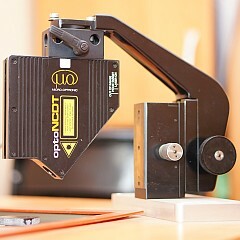 optoNCDT – a laser profilometer whose components include: laser head with the accuracy of 1µm and the range of10 µm, a stepper stage (?) 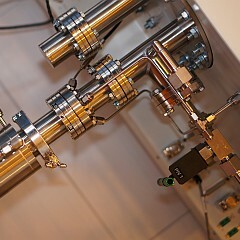 with the step of 1µm and the range of 50x50mm, and a computer with an operating software. 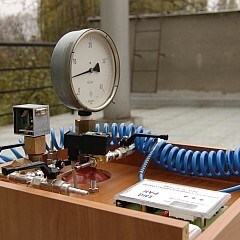 A station for investigating sorption and filtration phenomena in a coal briquette, particularly for sequestration of carbon dioxide on coal. 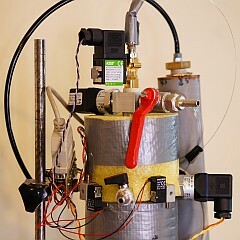 A high-pressure chamber for investigating the load impact on the sorption-deformation properties of coals and sorbing agents. 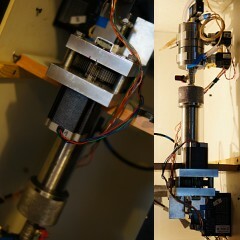 A stepper sorptomate – an innovative device for sorption measurements performed by means of the volumetric method, where a stepper motor is used to provide precise stabilization of the gas pressure. 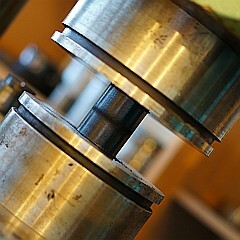 A manostat - a high-precision pressure regulator with a changeable discharge. 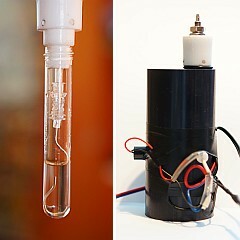 for measuring the mass flow of a gas flowing from the container with a sorbent to the atmosphere, via a measuring capillary. 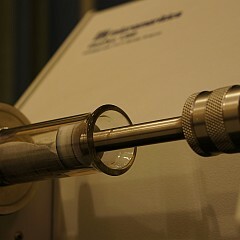 A bubble flow meter counting the bubbles of the gas coming out of the measuring nozzle. The upper limit of the measuring range is ca. 20Cm3gas/min; the lower limit is virtually non-existent. 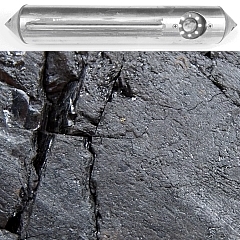 A probe for measuring the seam pressure – enables reliable measurements of the pressure of gases occurring with the exploited minerals. The seam pressure is a parameter which is of vital importance when it comes to the evaluation of the methane and outburst hazards. 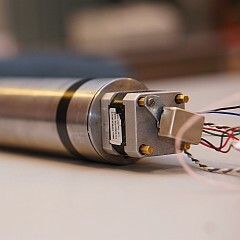 An introscopic camera – makes it possible to observe the surface of the research and technological boreholes in the visible light or the infrared light. 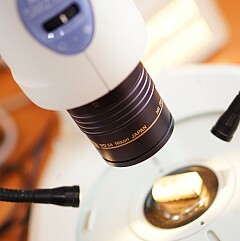 Due to the high quality of the registered images, the camera allows for the analysis of numerous petrographic and structural properties of rocks.